If you need to get a mortgage to buy your home, of course you can go to any financial institution you're comfortable with. Welcome to AmeriFirst. 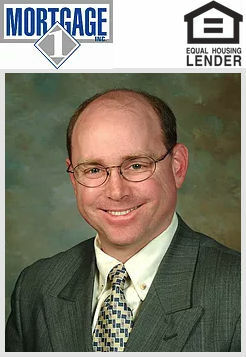 My name is Brian Hervey, and I have been in the mortgage business for over a decade. I specialize in a variety of loans ranging from RD, VA, FHA, FHA Renovations loans, Conventional, and HomeStyle. I take pride in my non-traditional banking approach. This approach provides the customer with the most quality service the industry has to offer without all of the wondering. I look forward to hearing from you. Mike Wolfe is willing and ready to assist you with all your financing needs! 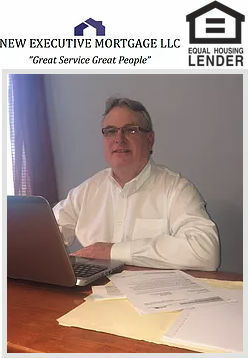 He has been a loan originator for 14 years and has gained experience in structuring all types of loans: FHA, VA, Conventional Conforming and USDA (RD), Home Path, Reverse Mortgage, Sub Prime, and Refinances. Over the years, many of his clients have been "first time" homebuyers, and through Mike's guidance they have entered into the biggest investment of their lives with confidence and clarity. Is that occasionally with clients and is high service-level provide each individual with the time they deserve! Mike consistently receives referrals and repeat business from former clients, as well as from an extremely loyal following of Realtors. He is proud to be able to provide the type of dependable service that all his customers depend upon to "simply get the job done with no last minute surprises." Below is a quote from a recent client. "We were so nervous when I came to buying our first house, but Mike, from the get-go, took some of the fears away by always keeping us informed and being so helpful along the way." - Jereme & Elizabeth L.
"I won't get a mortgage with anyone but Mike. He is wonderful to work with. Mike does an excellent job of keeping me informed." - Julie G.
If you are looking for experience, knowledge, dedication, and an honest approach, then Mike is your perfect fit! Promote the success of our customers and the rural community by being the best at providing credit and financial services. Delivering high quality, competitively priced services to our customers providing leadership to the agricultural and rural communities Being a financially strong cooperative organization Extending credit services in a manner that meets the specialized needs of our customers creating long-term relationships with our members that have a lasting, positive impact in their business and personal lives. 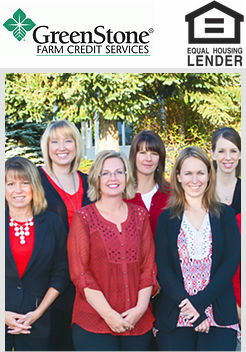 Now more than ever, you need a mortgage expert to help guide you through today’s financing options. My 20 years of residential and commercial financing make me uniquely qualified to counsel you and your family. Having lived and worked in Michigan my entire life, I have developed a vast knowledge and appreciation of the area. 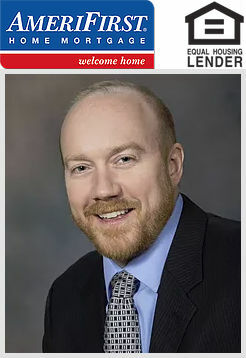 The residential mortgage experience that I have developed has come from managing the Grand Rapids branch of Wells Fargo, being a senior loan officer at Flagstar bank, managing the Grand Rapids operations for The Mortgage House, Inc, and the last 4 years expanding Mortgage 1's business in Western and Central Michigan. My commercial expertise comes from years of working on large scale development projects ($300+ million) to small scale business loans, and Real Estate backed financing. I am as passionate about the finance industry as I am about my family. Together with my wife, Jennifer, we are highly involved with our twins' academic and sports activities. Please contact me with any questions that you may have. I look forward to assisting you with your residential and commercial financing needs.